With schedules, we are also introducing no quota hours. 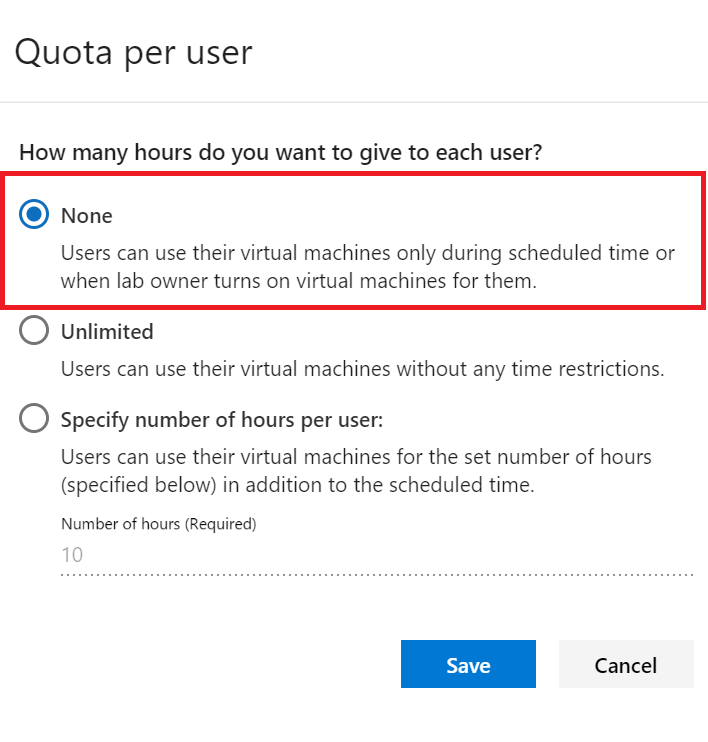 When no quota hours are set for a lab, students can only use their virtual machines during scheduled hours or if the teacher turns on virtual machines for the students to use. 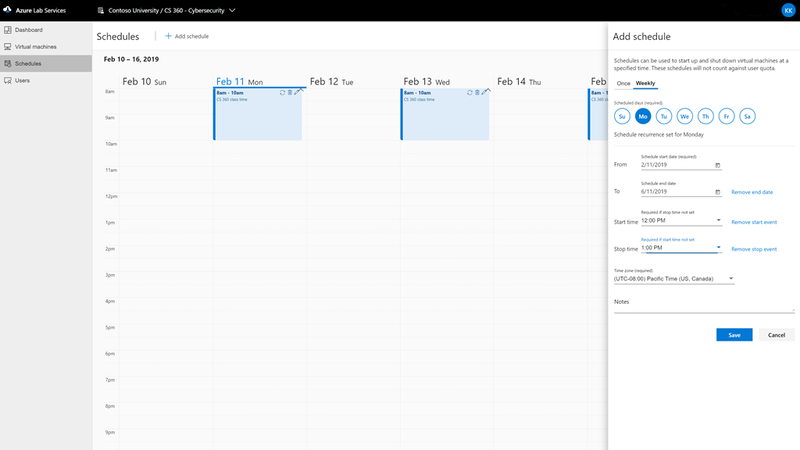 Students will be able to clearly see when a lab schedule session is in progress on their virtual machines view. 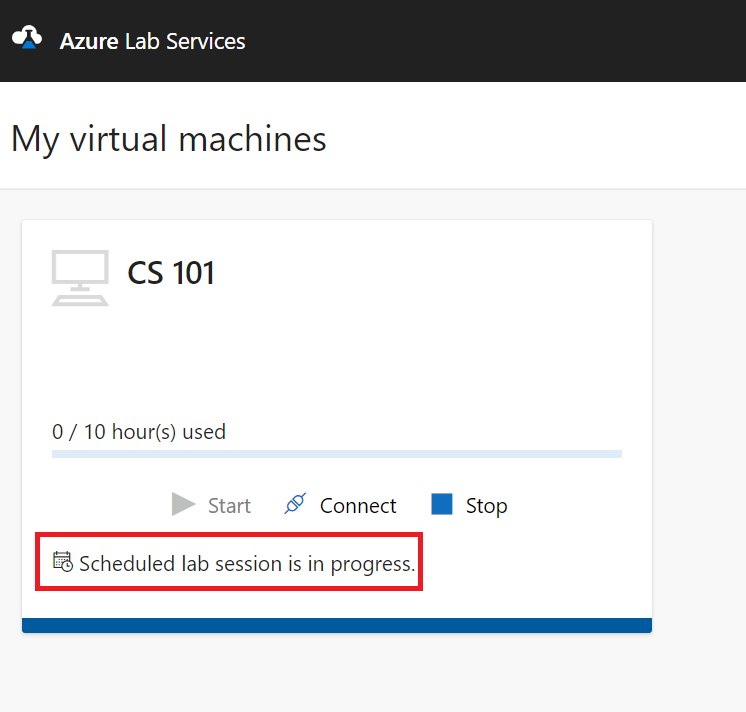 You can learn more about how to use schedules in our documentation, “Create and manage schedules for classroom labs in Azure Lab Services.” Please give this feature a try and provide feedback at Azure Lab Services UserVoice forum. 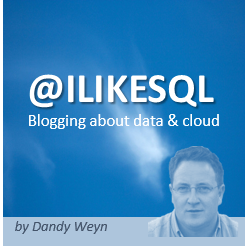 If you have a questions, please post it on Stack Overflow.